Baader Hand Knob For Guidescope Rings M10. 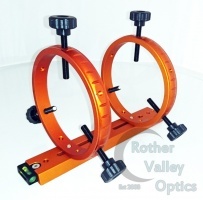 Now available separately, the William Optics 50mm guidescope rings pre attached on the William Optics handle. The length of the bar is 243mm so this will fit a wide range of telescopes. We have put together this lovely guidescope kit by Geoptik. This kit features high quality 130mm guidescope rings with 3 point delrin tipped adjusting screws, mounted on a 250mm vixen style bar. Baader Planetarium Guiding tube clamp rings with ball bearing bearing surfaces. High quality and high precision. 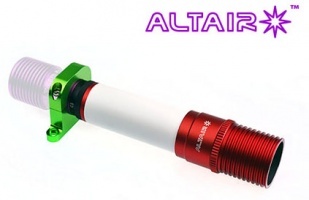 The Altair MG32 Mini Guide Scope is a small "set and forget" high quality optical tube, which comes with the sensitive GPCAMv2 AR0130 Mono Camera, plus the GPCAM Clamp.